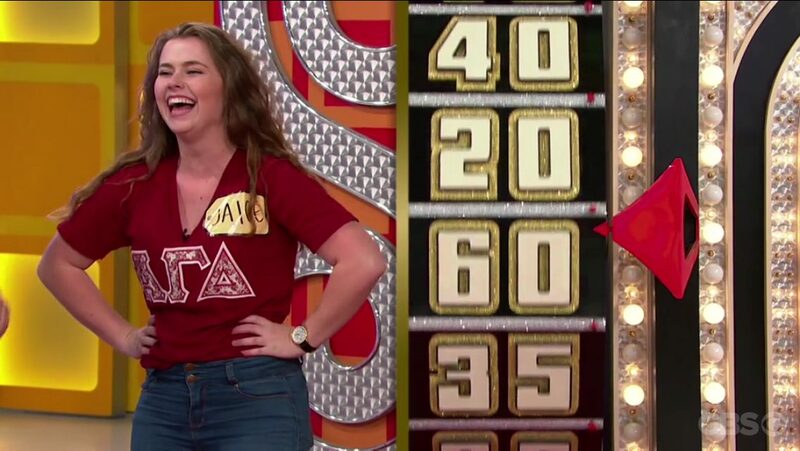 Senior music business major Jaice Cousins recently appeared on The Price is Right and walked away with an impressive package including $500, two tablets, designer sunglasses, a vacation to Maui and a sailboat. After attending two tapings, Cousins was selected to ‘come on down’ and won the third item, two tablets, with a perfect bid of $1,000. Cousins hit the stage to play “1/2 off,” earning the right to spin the show’s signature big wheel.